Bring the kids for fun! 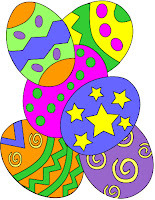 Easter Bunny story at 10:00 followed by the Easter Egg Hunt at 10:15. Please bring your own basket. Easter Eggs will be hidden inside the library by the Easter Bunny's helpers! Sponsored by the Friends of Dennis Public Library.